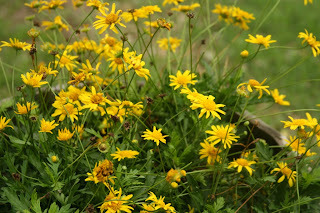 Our pretty little flowers out front. 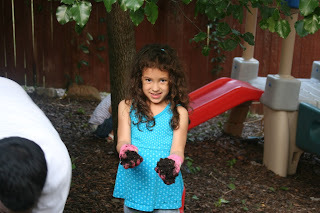 Getting ready to plant some veggies! Our strawberry plants from last year are still going strong. 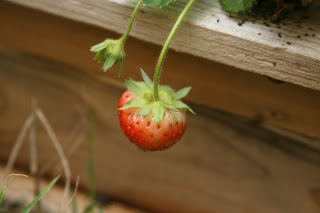 Here is one of our first strawberries to grow this Spring. 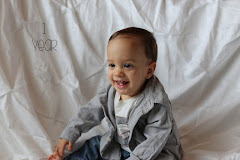 He is a cutie. 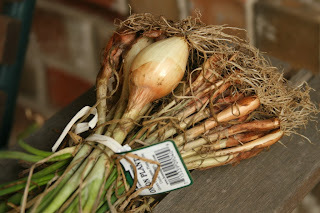 Onion bulbs waiting patiently to be planted. 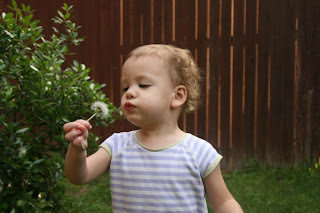 Cali making a wish on a dandelion. And last but not least, a definite Spring favorite is: the kids can play outside again! 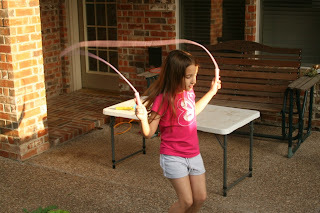 Back to parks, jumpropes & riding bikes-hooray! :) Happy Spring! I love your Spring pictures. They make me want to go outside and spend the day in the yard with Catalina and Matt. Great job! Beautiful! I looked in our yard and we now have tomato plants going crazy - big tomatoes and now I just need to wait till they turn red. Gotta love spring! Sweet. So cute. 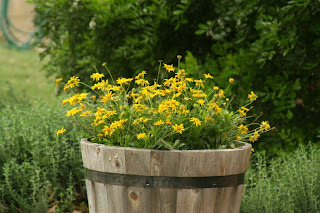 I love the barrel with the flowers. So country looking and like a meadow. Cute strawberries and love it all. Yay, back to being outdoors (except for today, of course). It sure is nasty outside right now- thundering like crazy as I type this even. Yeah for spring. May Day is also Lei Day in Hawaii. where is the comment i left here yesterday? i think i post a comment and then i didn't really. does that ever happen to you? anyway, what i thought i said was how much i love these pictures and how glad i am that you played along and are always such a wonderful support and inspiration. 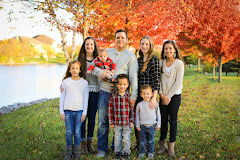 i love watching the joy in mothering and in being a wife. I'm so impressed with your gardening skills. I would have never guessed! We too love spring so we can get outside again.